Shopping for Game of Thrones Action Figures? "We don't kneel for anyone beyond the Wall." This Game of Thrones Rattleshirt 3 3/4-Inch Action Figure features the Lord of Bones wearing a giant's skull, armor made from bones, and armed with his iconic staff. This detailed Action figure features limited posability and stands about 3 3/4-inches tall. 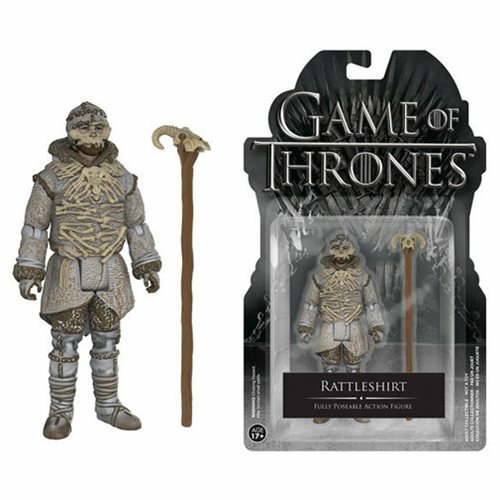 Make your move in the Game of Thrones with the Rattleshirt 3 3/4-Inch Action Figure! Ages 17 and up.